Beauty can be found in the most unlikely places. 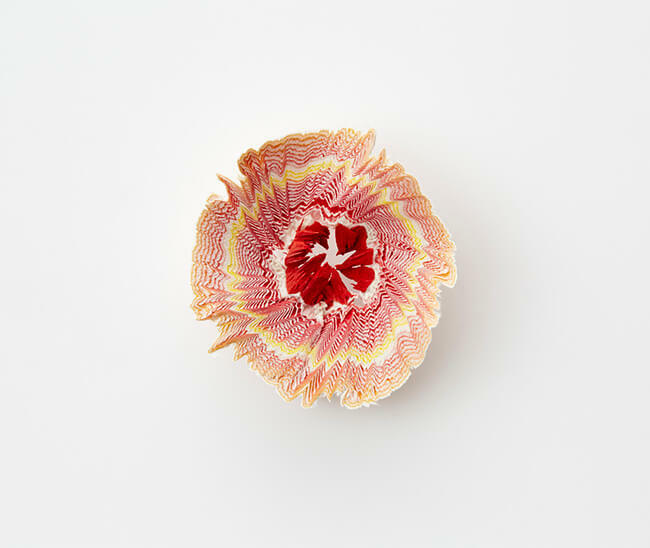 Just ask artist Haruka Misawa who has created these beautiful flower blossoms inspired by random pencil shavings. 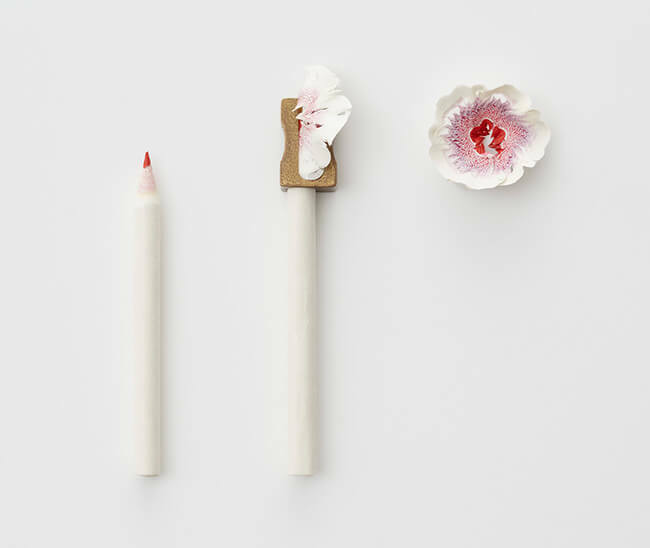 Her blossoms are made from a specially designed paper that is printed with a color gradation pattern, and then rolled up into a pencil shape, and “sharpened” to give us the beautiful pencil shavings patterns of the tiny flowers. 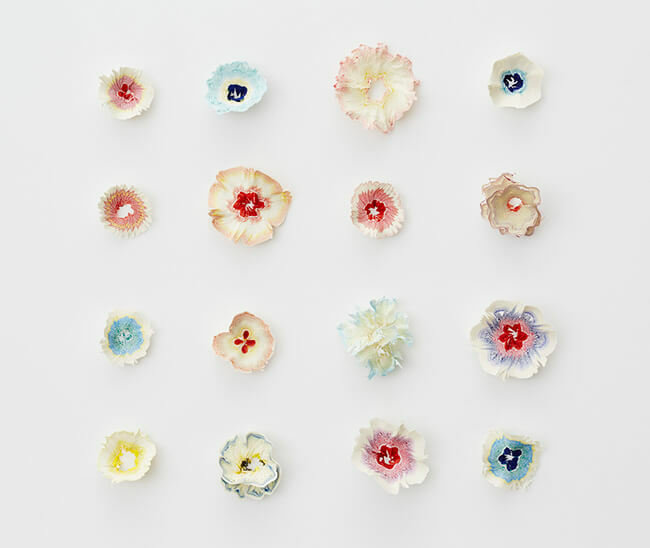 Haruka Misawa was born in Gunma in 1982 and later graduated from the Interior Design Course of Musashino Art University in 2005. 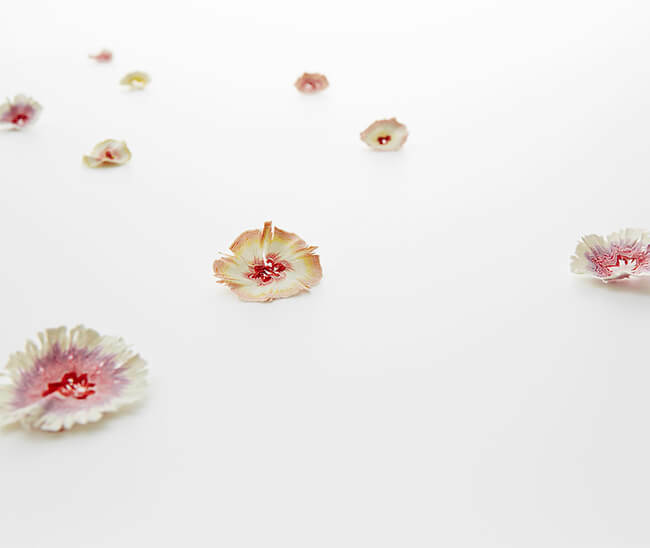 In 2009 Haruka joined the Hara Design Institute at Nippon Design Center just shortly after working at the popular design studio Nendo. 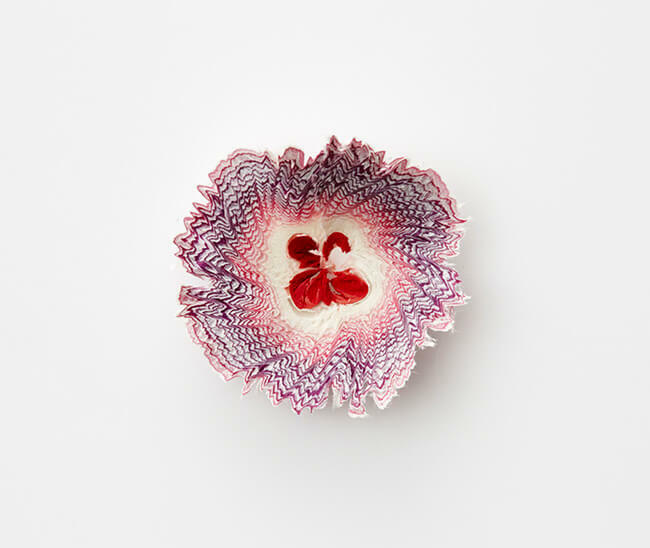 Jumping now to 2014 when she started working with the Misawa Design Institute and have been involved in design such as graphics, products and space planning in the name of the studio. 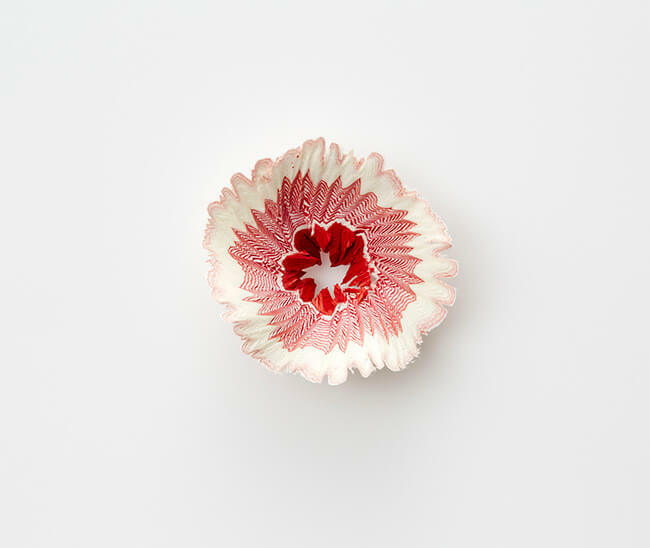 The dainty little blossoms might be small, but their uniqueness makes a huge impression. 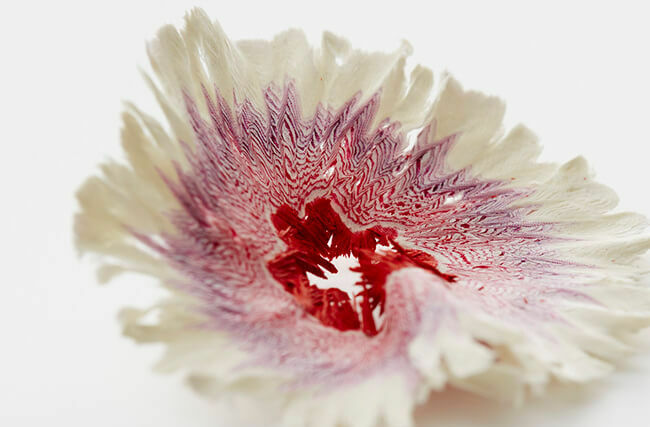 Like a snowflake, no two shavings are alike, in fact, her technique makes her results so random, that even she cannot duplicate any of her designs. 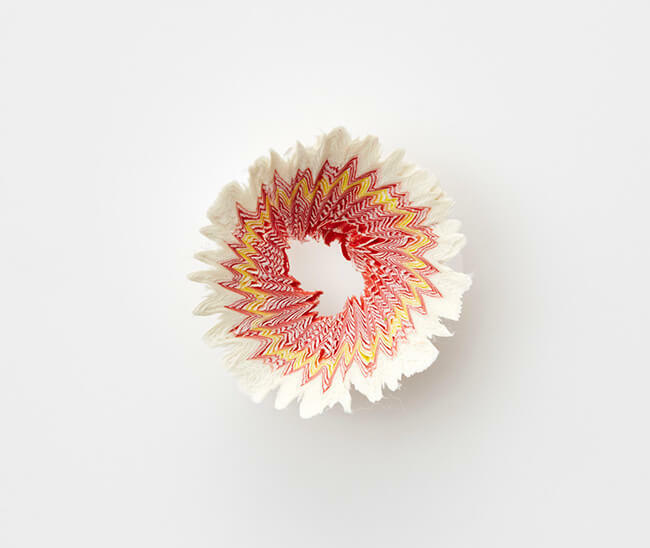 The flowers vary in size from 14-40 mm and can be made from any color under the sun. 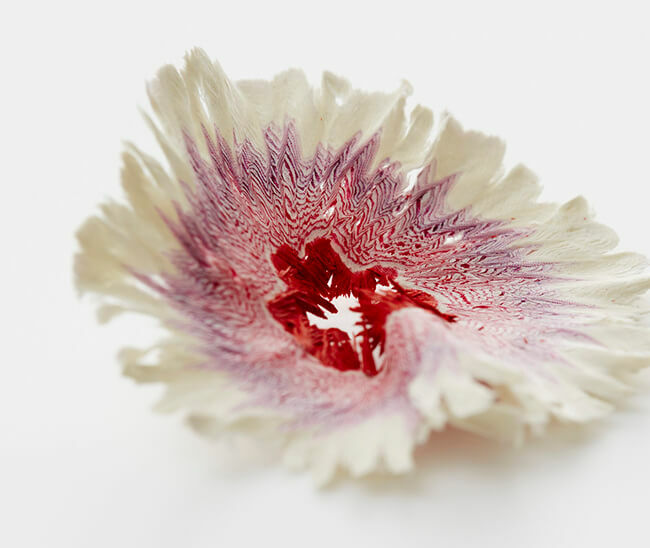 You can see more of Misawa’s stunning paper flower shaving art on Instagram.